A small area on the Kamchatka Peninsula is known as an animal graveyard. Dangerous for people as well, it’s closed off to tourists. However, Russia Beyond brings you ways to experience the Valley of Death. For centuries, a tiny piece of land known as the Valley of Death in Russia’s Far Eastern Kamchatka Peninsula wasn’t known to humanity until it was accidentally discovered in the 20th century. According to legend, two hunters found this bizarre place in the 1930s at the foot of the Kikpnych Volcano, on the upper Geyzernaya River in the eastern part of the peninsula. The men were faced with an arid land with no grass or plants, covered with the bodies of dead animals. After several minutes the pair felt strong headaches and fled the area, a decision which saved their lives. The story hunters told about the territory raised strong interest and in the 1940s and 1950s many adventure seekers journeyed to the valley in a bid to solve its mystery, but not all returned. Locals say about 80 people have been lost there. Still, the official version claims the Valley of Death wasn’t discovered until 1975. On July 28, a group of volcanologists led by Vladimir Leonov entered the valley where they found a cemetery for animals and birds. Three days later, the valley was discovered by the forester Vladimir Kolyaev who entered it from the other direction. People stayed close to the valley many times without knowing about the danger nearby. A tourist route from the Valley of Geysers to Uzon Volcano passed just 300 m from the place. 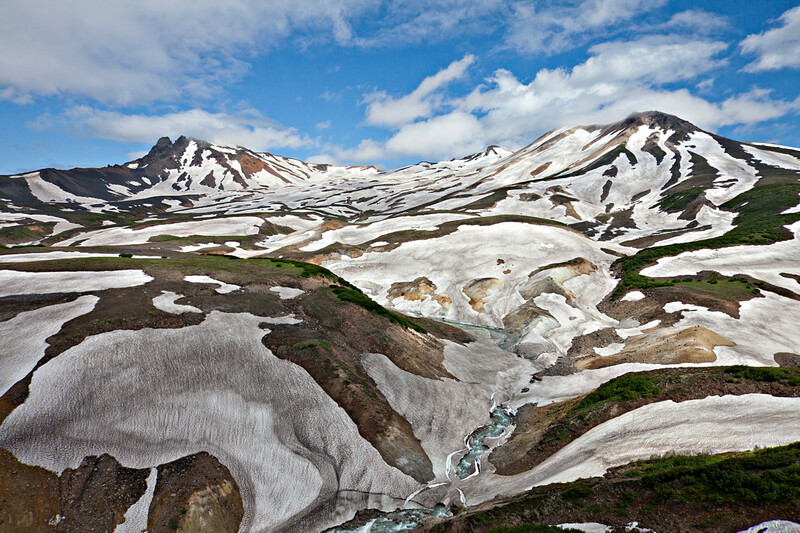 The discovery became one of the most significant in the history of Kamchatka. Dozens of scientific expeditions were organized to solve the mystery of the Valley of Death. After research carried out from 1975 to 1983, the scientists came to the conclusion that the animals and birds are killed by the high concentration of poisonous gases that rise from the volcano. 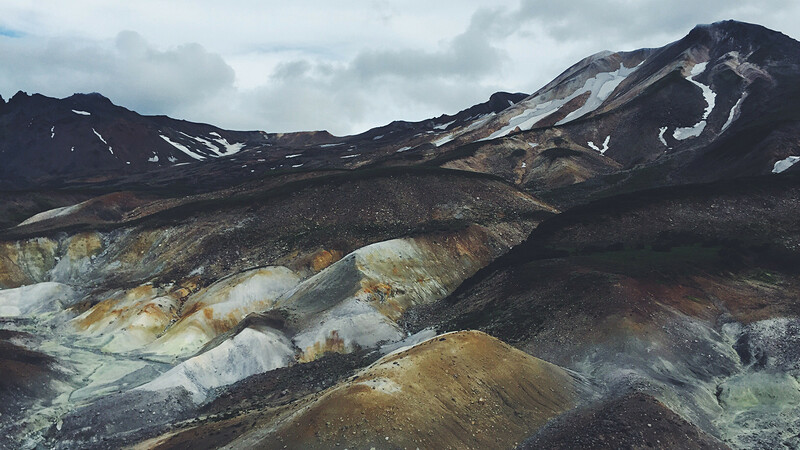 A deadly mix of hydrogen sulfide, carbon dioxide, sulphur dioxide, carbon disulphide, and other elements accumulates in the valley’s lowlands without any winds to blow it away. The Valley of Death is a relatively small area: It’s just two km long and 500 m wide. The period from May to October makes this territory a natural killer: The snow cover melts, freeing deadly gases. The first victims are birds that drink the water in the thawed river. They are followed by foxes which come to the valley to hunt. This in turn attracts larger predators: Bears, wolverines etc. The bodies of the dead animals are preserved for a long time because the deadly gases prevent the bacteria responsible for decomposition. Partially rotted animal bodies in the valley are not uncommon. The most important question scientists can’t yet answer: Why don’t animals run when they first start feeling the symptoms, and why do they even visit the valley in the first place. Some believe that elements in the valley’s gases can cause partial paralysis, but this is not yet proven. Humans are often hit with headaches, fever, and weakness in the Valley of Death - sometimes leading to a fatal outcome. The Valley of Death is closed for visitors. Tourists can’t go there but you can view it from afar. The valley can be observed from a specially organized observation deck installed at a safe distance from the valley. Visitors can enjoy the incredible landscape and listen to interesting facts explained by a tour guide. The number of excursions in May and June is limited. All useful information can be found in the Kronotsky Reserve, to which the Valley of Death belongs. The other way to see the infamous territory is to take a helicopter tour. Besides the Valley of Death, one can see other parts of the peninsula: The Valley of Geysers, the active volcanoes of Karymskiy and Maliy Semyachik, and Uzon. The cost of such a tour is around $700. Kamchatka is not only known for the Valley of Death. The peninsula has so much more to offer. Here you can read about seven things that amaze travelers there.